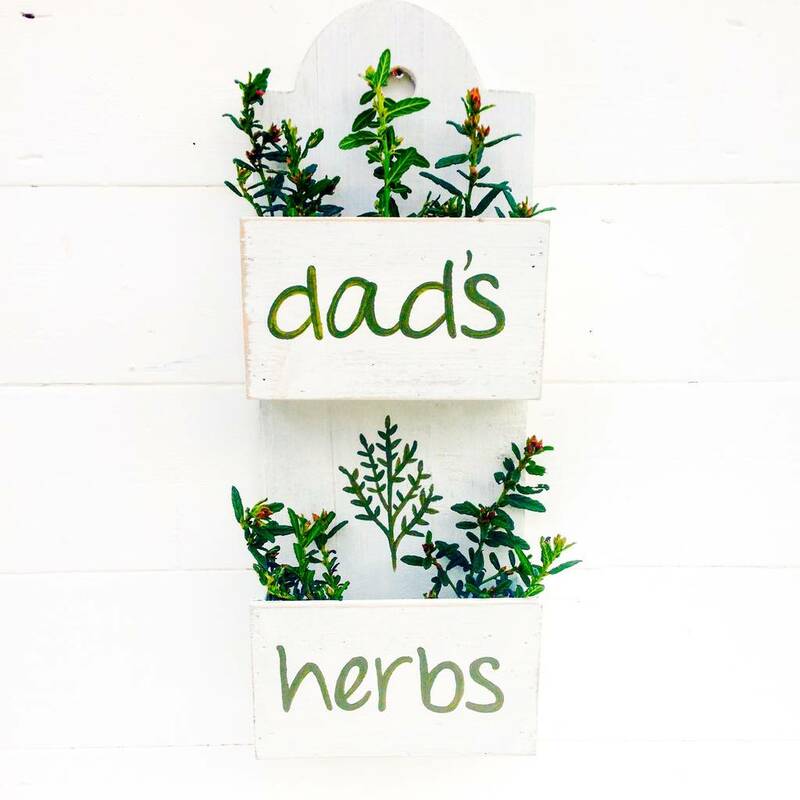 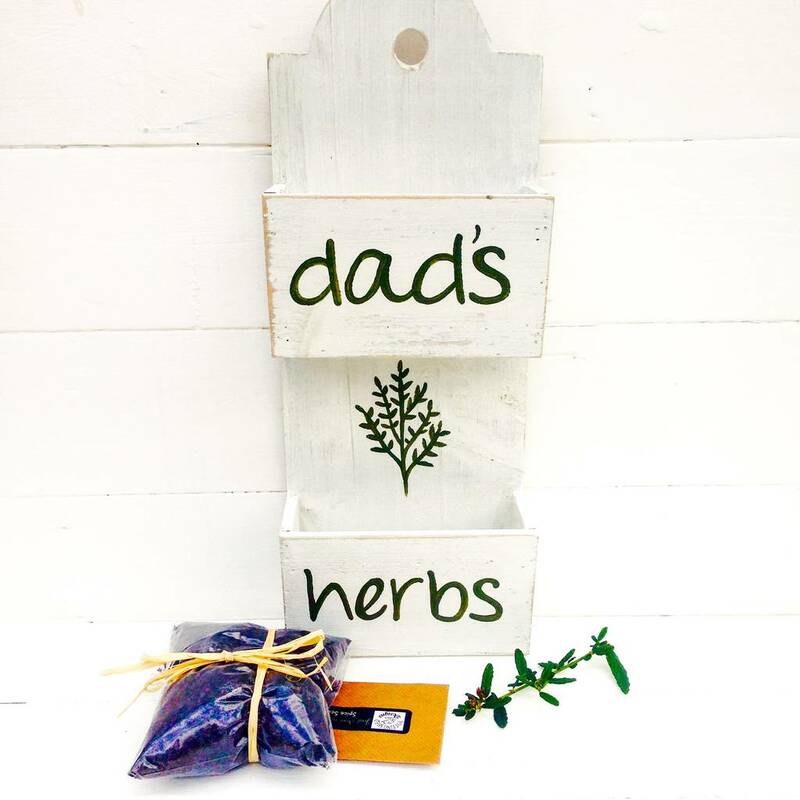 A rustic style wooden herb wall planter for growing your own herbs, can be personalised. 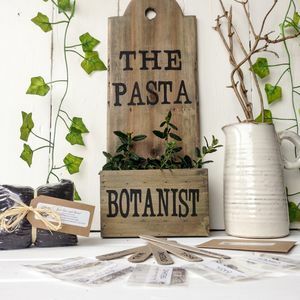 Option of planter alone or add seeds, markers and compost! 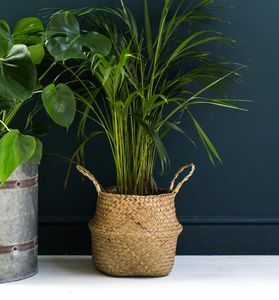 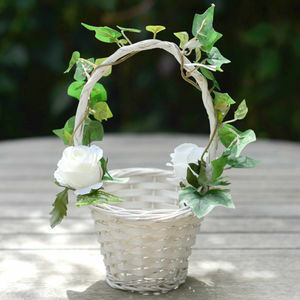 This lovely rustic style white washed wall planter is a really useful and stylish way to either grow herbs ( please choose to add herbs and compost if required, from the drop down menu) or you can use it to keep your gathered herbs fresh. 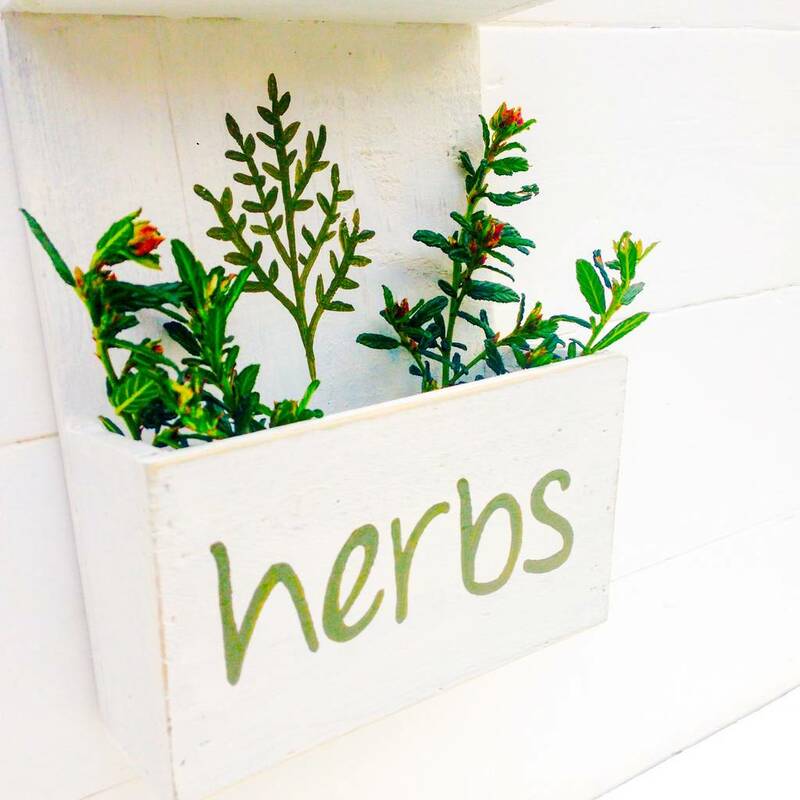 There are removable liners in each of the two tiers which can either be filled with compost to grow your own herbs from seed, or you can add water and pop your own herbs in to keep them fresh! 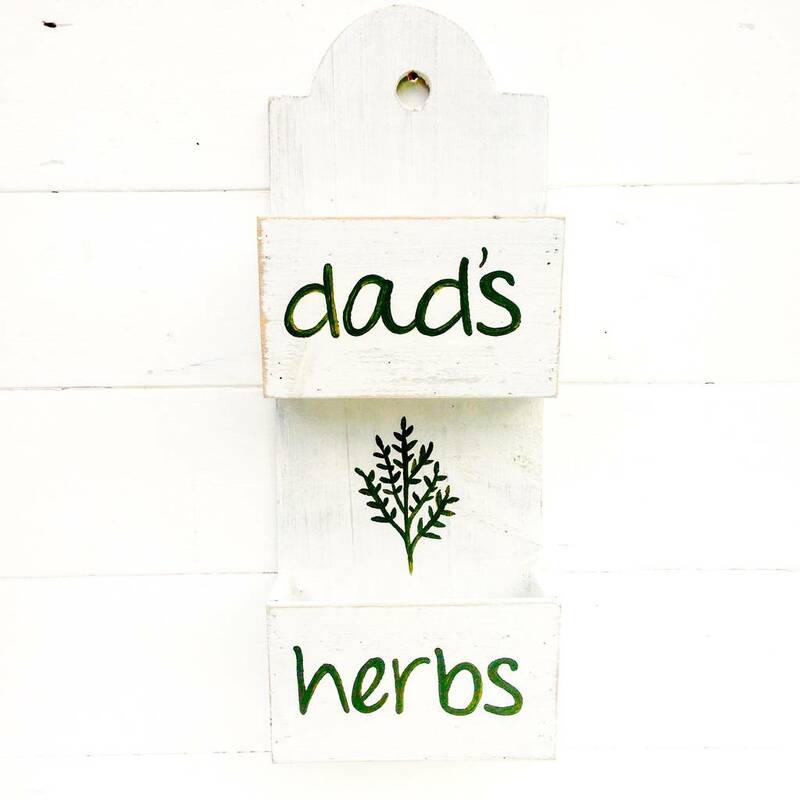 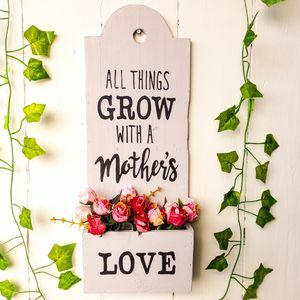 You can personalise each tier with your own wording, there is a hand painted herb design painted on the space between the tiers. 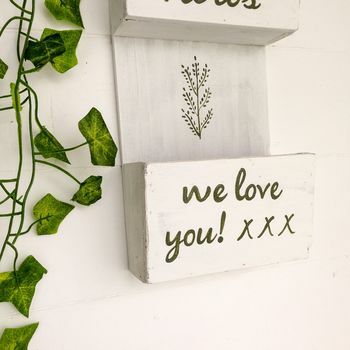 Rustic wood planter/storage hand painted in washed white with hand painted green lettering, gently distressed.